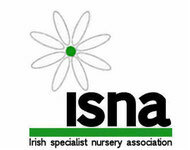 The Irish Specialist Nursery Association was established to represent the smaller more specialist Nurseries in Ireland. The 2019 Calendar of Plant Fairs is now available click here. SOME OF OUR MEMBERS MAY OFFER GIFT VOUCHERS, PLEASE CONTACT THE NURSERY DIRECT.